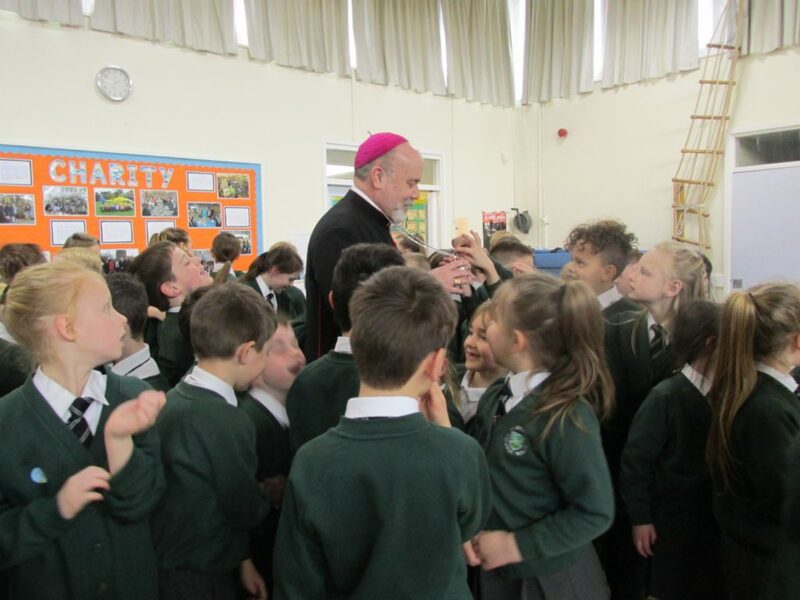 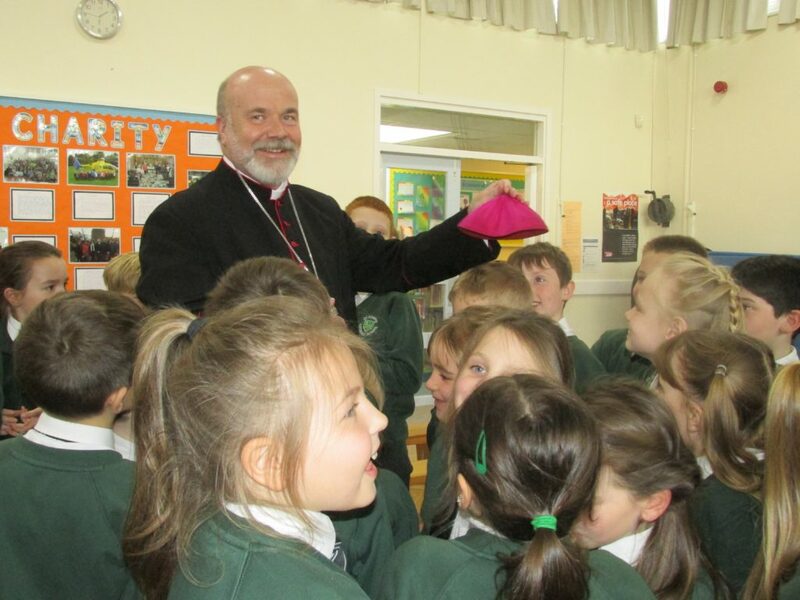 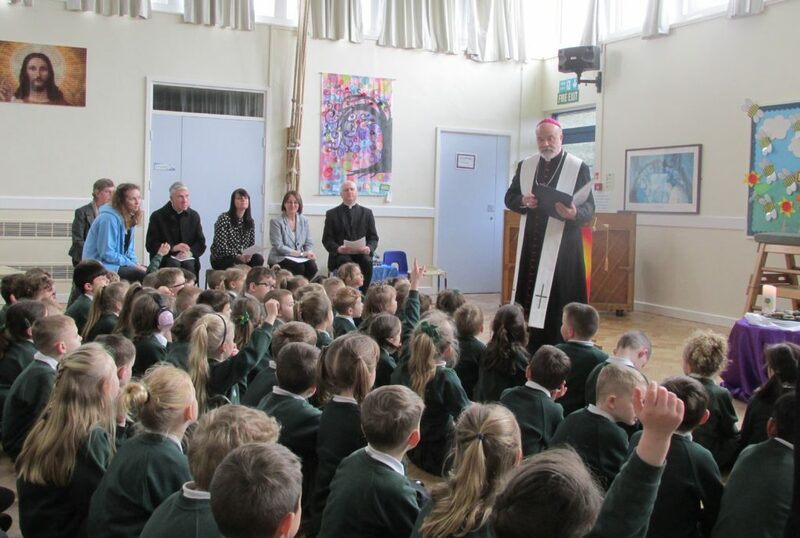 A giant Rosary forms the centrepiece of a prayer garden at St Joseph’s Catholic Primary School in Barnoldswick, opened and blessed by Bishop Marcus yesterday as he joined the school and parish priest Canon Kevin Firth in a joyous occasion which also celebrated the generosity of a much-missed St Joseph’s parishioner. 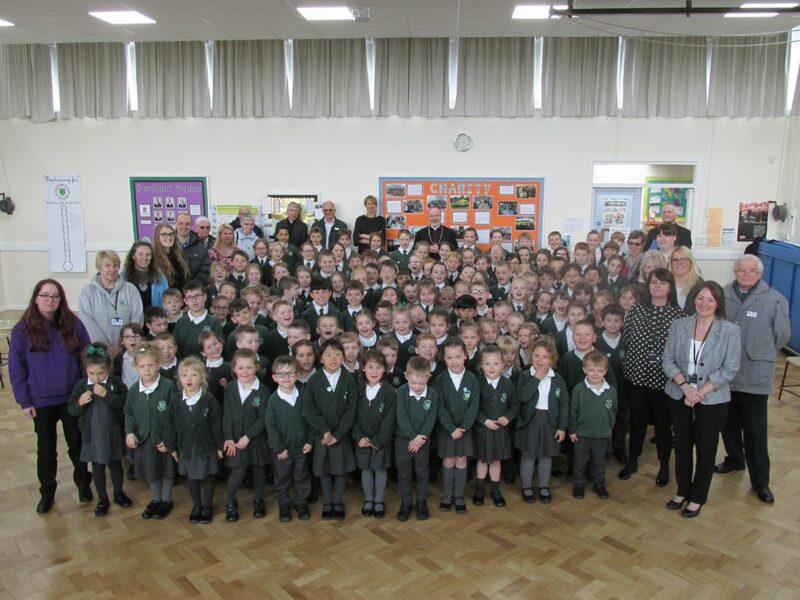 The School Council and Deputy Head Teacher led the project, working with the school’s Mini-Vinnies. 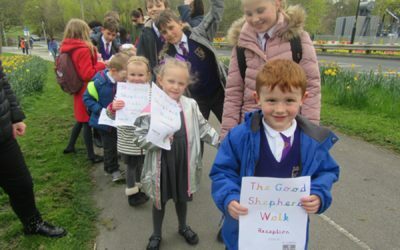 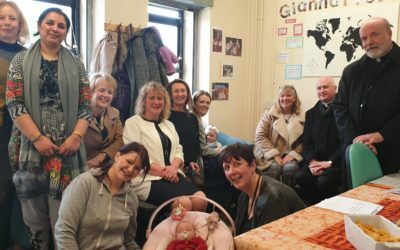 The children contributed designs and ideas and secured additional community funding and donations from several local businesses including the area’s Homebase and Asda stores. 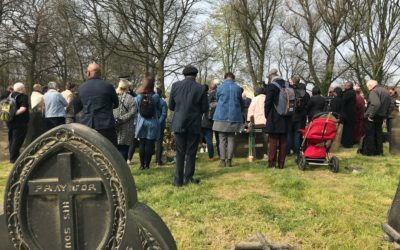 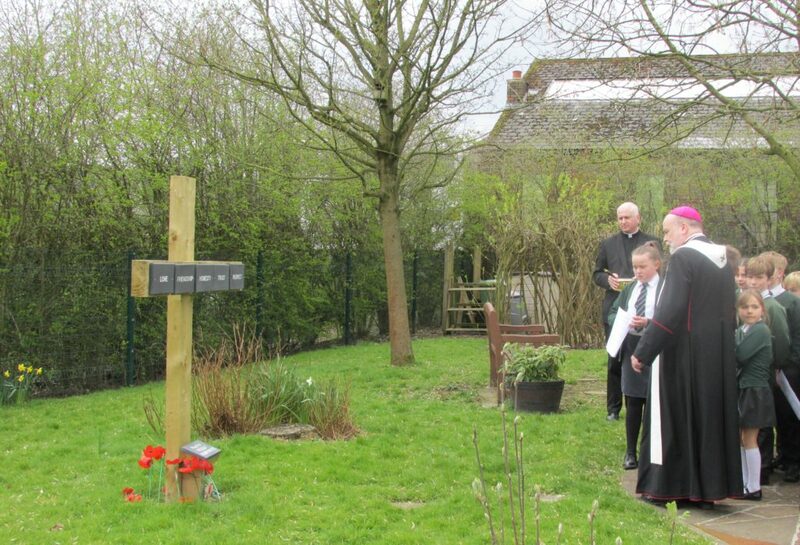 The garden has been completed with benches for quiet prayer as well as a selection of flowers and plants to attract mini-beasts. 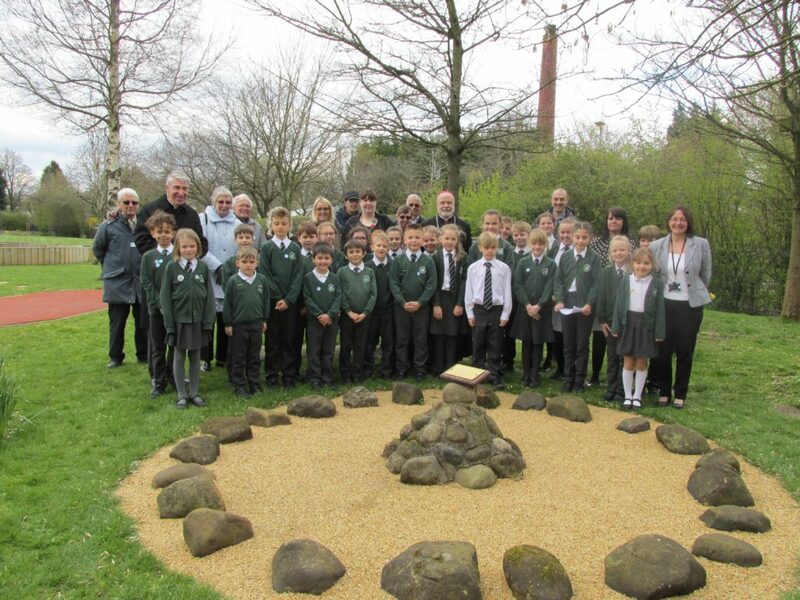 It is situated next to a space which the children already use for gardening and looking after the environment.